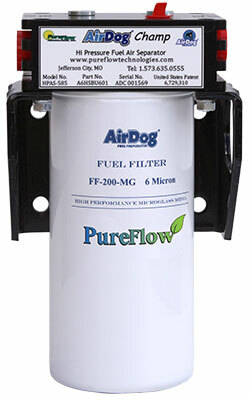 The new compact AirDog™ PF100 & PF150 diesel fuel filteration systems provide the most effective technology designed specifically for diesel pickups to remove water, particulates, vapor and entrained air from diesel fuel. 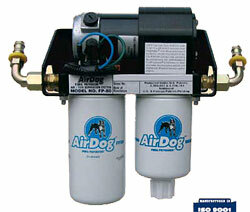 The AirDog™ replaces the Cummins factory lift pump and filter system, and enhances the fuel delivery of the Powerstroke and Duramax with a commercial duty system. 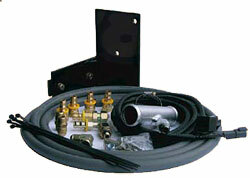 READ ABOUT THE LARGER AND ADJUSTABLE AirDogII™ ADJUSTABLE WATER AND AIR SEPERATOR FOR DIESEL ENGINES BY CLICKING HERE.